MEi is the Mandarin word for “beauty” and no other word better describes MEi Miami Beach. This upscale, luxury condominium is the perfect blend of Asian- influenced design with the most-advanced technology to create the most prestigious Miami Beach condominium. MEi stands out from the rest of the luxury Miami condominiums with its unique design. From the moment you enter the grounds of MEi Miami Beach, an immediate zen-like atmosphere engulfs you to bring you to a relaxed state of being. 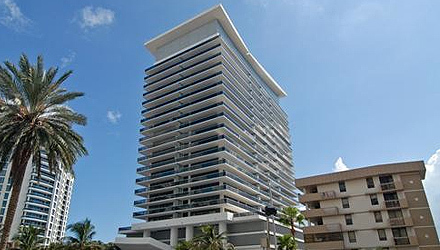 Completed in 2008, MEi Miami Beach is an architectural stroke of genius designed by the architecture firm of Rosello Balboa & Lordi, developed by PMG Collins, a subsidiary of Property Markets Group, and built by TGI Construction. Interior design firm, Hersch Bedner Interior Design carried the Asian influence of the architecture throughout the interior of the condominium. With 22 stories and 135 condominium units that include 36 two-story townhouse structures on upper level floors, MEi Miami features one, two and three-bedroom residences. Condominium residences range in size from 900 square feet to over 1,900 square feet with two-story residences ranging in size from 2,000 square feet to 4,000 square feet. Attention to detail is everywhere you turn on the grounds, in the lobby and other public areas as well as inside each residence. Located at 5875 Collins Avenue, MEi Miami Beach is situated along the oceanfront on Millionaire’s Row in the heart of Miami Beach. Within walking distance to the restaurants on Lincoln Road, it is centrally located between the action of South Beach and shopping in Bal Harbour not to mention being a very short drive from Brickell and the Design District. MEi Miami Beach features a creativity that defines a new type of condominium. With sparkling glass, water trickling over limestone, teak furniture and accents, and exotic Asian fabrics from the East, an immediate sense of calm comes over anyone who enters the lobby. Residents and guests enjoy all the luxurious amenities like the incredible pool deck that surrounds the resort-style pool with a bridge over a tranquil lagoon; a state of the art fitness center and luxury Asian spa; a library and tea room; and, so much more. On top of the building amenities, residents enjoy a private beach with cabanas and the most amazing views of the Bay and the Atlantic Ocean. 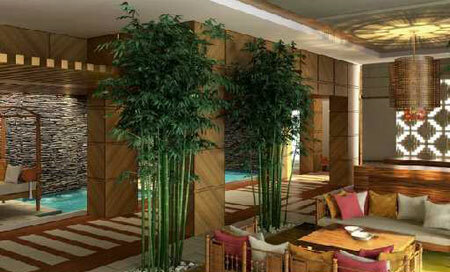 Homes feature only top of the line amenities and extras expected with such an extravagant property. Residences feature ‘smart-home’ capabilities for multiple phone lines, wi-fi and security; high-speed elevators; 24-hour concierge; high-end state of the art stainless steel appliances and Asian-influenced cabinets in large gourmet kitchens; elegant master suites with walk-in closets that rival any private estate; wrap around balconies, and so much more. 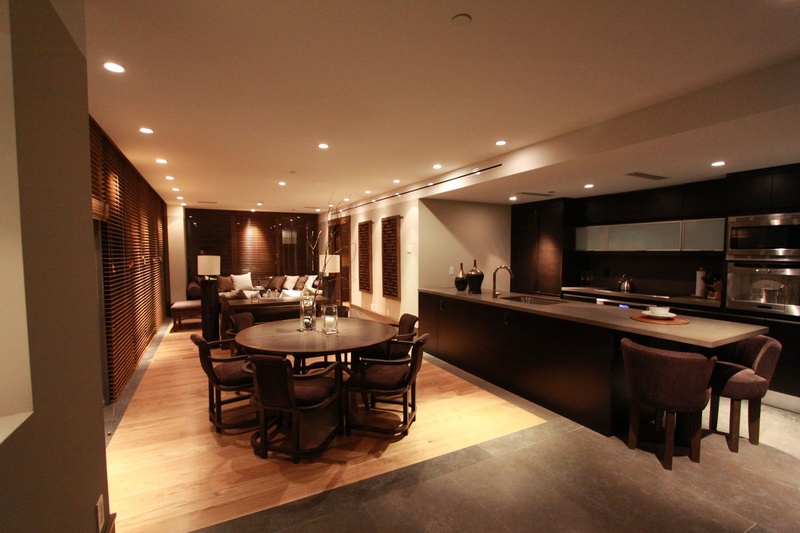 From there, individual owners added other amenities like automated black out curtains in bedrooms, and more. Currently, there are nine residences for sale at MEi Miami Beach. They range in prices from under $2 million for a one-bedroom condo-hotel unit to well over $2 million. Over the past year, 12 residences sold with sale prices between the mid-$500s for a one-bedroom unit to almost $1.9 million for a large two-story unit. 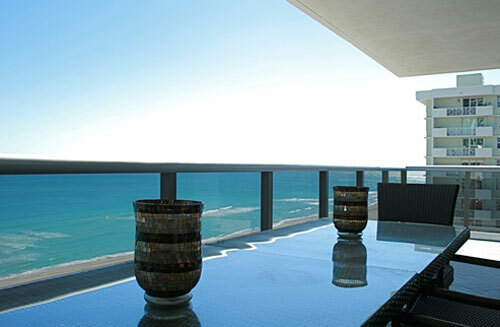 For those who insist on luxury accommodations when spending time in South Florida but do not want to make the investment of owning property, MEi Miami Beach rentals feature furnished accommodations for seasonal rentals and unfurnished rentals for long term tenants with monthly rental rates ranging from about $3,000 to $8,000. Not only is MEi Miami Beach the most prestigious condominium residence in all of Miami Beach, it is definitely the most unique and filled with a upscale ambiance that is only prevalent in a handful of condominiums in South Florida. 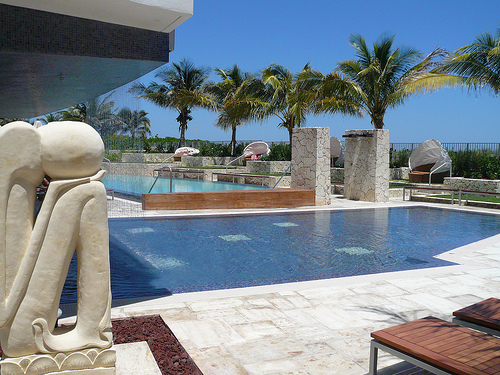 Owning Miami real estate here allows owners and guests an opportunity to live a Zen life at MEi Miami Beach.